How do you choose the right business software to meet your company’s needs? Invoicing, sales tracking, payment processing and reporting are required for retail or hospitality business. When choosing software for your business, it’s important to consider a tool’s user interface, cost, customer support and how it can help your company process payments more efficiently. Here are five of the most popular payment processing tools. We’ll take a look at QuickBooks credit card processing reviews compared to the competition. 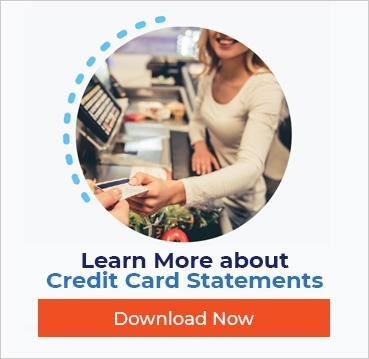 QuickBooks Payments gives merchants the ability to accept credit and debit cards in person using a mobile credit card reader. For small businesses, QuickBooks Payments seamlessly syncs a merchant’s payment data into their accounting system, allowing them to review sales data in real time. Merchants can accept all major credit cards and record cash and check payments. Businesses can also accept ACH bank transfers as online invoice payments. QuickBooks' GoPayment app is compatible with Android and Apple devices, as are its card readers. Reviews of QuickBooks are not all positive, however. Poor customer service, long wait times on calls, lagging deposit times and lack of customizable invoices are common complaints. Cost: Monthly plans are $20 or less, with various per transaction fees depending on the type of plan you choose. Pay-as-you-go, non-monthly plans are also available. Microsoft Dynamics 360 for Financials offers invoicing, contact management, expense tracking, inventory, reporting and more. The software is designed for mid- to enterprise-sized businesses. The company markets itself as a software solution for those who have outgrown QuickBooks but aren’t quite ready for the more expensive providers. Microsoft Dynamics accepts credit, debit, ACH and EMV payments. This cloud-based software integrates all of a company’s business management applications into a single platform, combining enterprise resource planning (ERP) and customer relationship management (CRM) software into one system. Cost: Applications start at $40/month per user, and monthly plans range from $115 to $210. Sage Payment Solutions serves small to medium-sized businesses, offering a variety of products. Businesses can accept cards, e-checks and mobile wallet payments. Sage Mobile Payments offers a mobile-only account with month-to-month contracts. However, full-service merchant accounts through Sage (formerly Peachtree) still come with a lengthy, three-year contract that automatically renews for two-year periods if you don’t cancel in time. There’s also a liquidated damages early termination fee that will cost you $25 for every month remaining on your contract. Customer reviews point to a lack of transparency, poor customer service and fees. The company does earn higher marks for its Sage Mobile Payments platform, which offers a merchant account, as opposed to the aggregated accounts offered by Square and others. Sage’s proprietary payment gateway and virtual terminal services also appear to be reliable products. Cost: Contact company for pricing. NetSuite is the whole business package, designed specifically for large businesses and global enterprises that have outgrown QuickBooks Pro and have significant budgets. Cost for this cloud-based software will vary widely depending on the customization of software for your company. Features include a customized dashboard, KPI reporting, multiple currency options and invoicing. Its EBizCharge is a processor, payment gateway and native integration all in one. Reviews of this software have pointed out that the implementation process can take anywhere from a couple of weeks to six months, depending on your business and the NetSuite option you choose. Until recently, FreshBooks was mostly an invoicing software tool. But the company is now offering double-entry accounting techniques and key accounting features such as bank reconciliation, journal entries, and reporting. These changes have helped FreshBooks join the ranks of other competitors, including QuickBooks Online. FreshBooks is ideal for freelancers, micro businesses and small businesses in need of basic accounting and other features, including invoicing, expense tracking and project management. The company gets consistent positive reviews for customer service. FreshBooks Payments allows merchants to accept payments from most major credit cards directly from their invoices. Receiving payments online by credit card can be done through any one of the software company’s payment gateway providers. With FreshBooks Payments, there are no monthly or setup fees and businesses only get charged when they make sales. Cost: Pricing plans range from $15-50 per month. When processing online payments through FreshBooks Payments, there is a transaction fee included. Pricing is 2.9% + $0.30 on all card transactions, with the exception of American Express, which is 3.5% + $0.30.